Comparison of prices on rental cars in the district/suburb of Nou Barris, region Catalonia, Spain. With us, there are no unpleasant surprises when you pick up your rental car upon arrival at your destination. 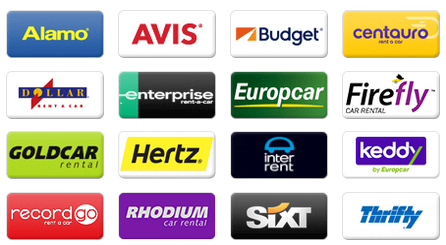 Compare car rental companies like Budget, Europcar, Hertz, Avis, Thrifty, Sixt, etc. All prices on autospain.co.uk include free mileage, fees at the airport and necessary insurances, local taxes and fees etc. Cheap car hire in Nou Barris - Compare prices before you book! Comparison of rental car prices and car hire from several businesses in the district/suburb Nou Barris in Spain. Find the best prices for rental cars. It always pays off to compare before you book, in some smaller communities local companies can have very competitive prices. Car hire at Nou Barris’s airports like Sabadell Airport, Barcelona–El Prat Airport, Girona–Costa Brava Airport and Reus Airport, train stations (Barcelona-Torre del Baro, Montcada Bifurcacio, Barcelona-Clot-Aragó, Montcada I Reixac-Santa Maria, Montcada I Reixac-Manresa, Sant Adrià de Besòs, Barcelona – Passeig de Gracia and Badalona) and travel centres etc. We can offer a car hire service where every cost is included. There are no hidden fees or free cancellations/amendments up to 24 hours before you are supposed to pick up the car. An easy, straight forward and safe search for car hire online. With our search engine, you only need to write the name of the city, place etc. and you will immediately get a list of choices. Hertz on Avinguda de la Comunitat Europea, Enterprise on Carrer de Pere Iv 129, Avant Car on Carrer de Siracusa 39 51, Europcar on Carrer de Badajoz 168, Avis on Avinguda del Marquès de Mont Roig 88 B, Avis on Carrer de Pallars 457 are the companies we compare in Nou Barris/Spain. Information about the district/suburb Nou Barris (Distrito de Nou Barris, Distrito Nou Barris), located in Barcelona, Catalonia region, Spain. It is part of a larger city. 10th largest city/district when it comes to inhabitants in the region and the 50th largest town/community in Spain. Read more about what the district/suburb has to offer when it comes to experiences and which companies are located in Barcelona and the country. Barcelona (c. 1621500 pop), Eixample (c. 266500 pop), L’Hospitalet de Llobregat (c. 257000 pop) and Sant Martí (c. 235700 pop) are larger neighbouring communities and cities. The town/city is located about 85 MASL. About 166 300 (2015) inhabitants live in the district/suburb. Smaller communities, villages and suburbs nearby are la Garriga, el Parc i la Llacuna del Poblenou, Piera, el Congrés i els Indians, Lliçà d’Amunt, Canet de Mar, Santa Coloma de Gramenet, Santa Maria de Montcada, Llefià and Sant Adrià de Besòs. Bus stations and bus stops in the city are Nord Bus Station. Torras i Bages, Fabra i Puig, Trinitat Vella, Navas, la Pau, Besòs and Fondo are subway (metro) stations in the city. Get some tips on local companies in Barcelona. Are you staying for a long time in Nou Barris? Some suggestions and tips on museums, activities, events, attractions, experiences, destinations and places that are worth a visit during your trip to the district/suburb. A day for relaxing and sunbathing on the beach at Platja del Besòs, Platja de Sant Miquel, Platja de Badalona, Barceloneta Beach, Platja de Sant Sebastià, Platja de la Nova Mar Bella and Platja de la Mar Bella. They are all close to the district/suburb. Enjoy a beautiful botanical garden? Gardens of la Segona República and Gardens of Gatcpac are located within walking distance. Fascinating and fine plantings, green areas and parks that are located in the district/suburb are Urban Park of Nou Barris and Park la Guineueta. If you are travelling with children and want to visit an amusement park, water park or theme park, you have these options; Natupark and Tibidabo. Aquarium Barcelona and Zoo de Barcelona are tropicariums, tropical houses, zoos, aquariums, safari parks and terrariums that are nearby. Like golf? Want to try out the local golf courses? Golf courses that are close to the city are e.g. Real Club de Golf El Prat 17 km, Club de Golf Vallromanes 14 km and Club de Golf de San Cugat 9 km. Plaça d’Ángel Pestaña and Plaça de Harry Walker are notable squares or large open spaces close by in the central parts of town. Visit Sant Andreu Theater to see and experience plays, music and shows in the town centre. Some of the vineyards and wine producers that are close to the the district/suburb are, for example, Masia Can Calopa de Dalt and Ramon Canals. Wine tour and tasting in Nou Barris? Car hire in airports nearby: Rental Cars Barcelona-El Prat Airport, Sabadell Airport and Reus Airport. Niza, Nomadcar, Europcar, Autos Valls, ClickRent, La Palma 24, Solmar, Atesa, Thrifty, Dickmanns, Dollar, Keddy By Europcar, Faycan, Cooltra Scooter, OK Rent a Car, Malco Rent a Car, Owners Cars, Autos Menorca, Drivalia, CICAR, Marbesol, Delpaso, Canarias.com, Record, AutoReisen, Orlando, Hertz Dream Collection, Class Rent a Car, Orcar Canarias, Surprice, Alamo, Maggiore, Avis, Enterprise, TopCar, Autos Aguirre, Goldcar, Wiber, Hiper Rent a car, Autoclick, Rhodium, Centauro, Flizzr, Firefly, National, King rent, InterRent, Sixt, Budget and Hertz are the companies we compare in Nou Barris. You can usually find the largest selection at airports such as Barcelona El Prat Josep Tarradellas Airport, Sabadell Airport and Reus Tarragona Airport. The large companies usually have offices adjacent to the airport.